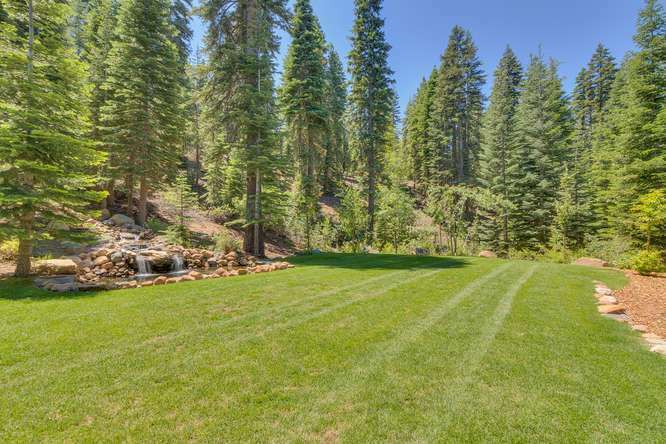 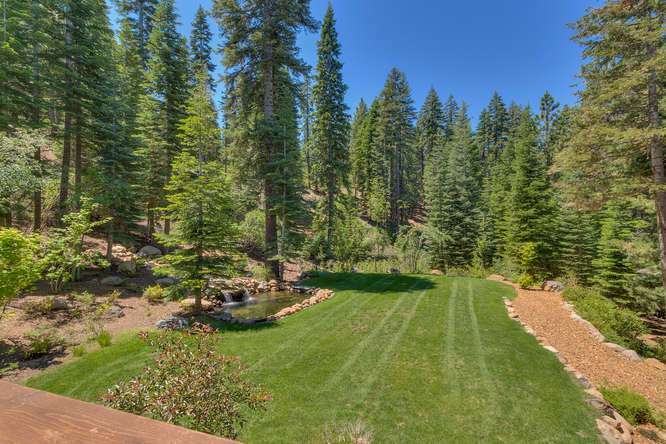 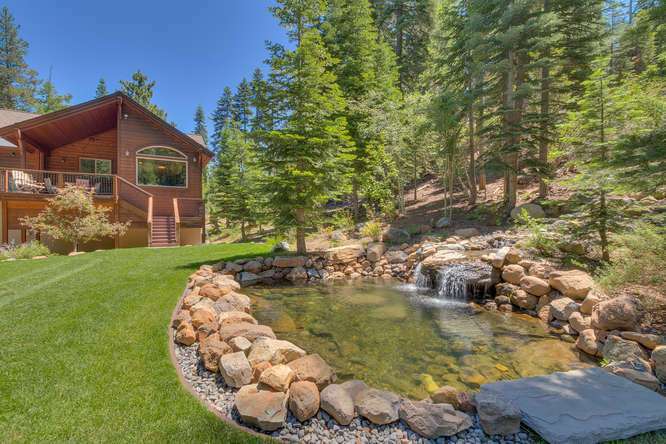 Set on a manicured 7.84 acre tree-studded lot, this stunning Truckee property offers superior privacy and a sublime setting to relax and unwind. 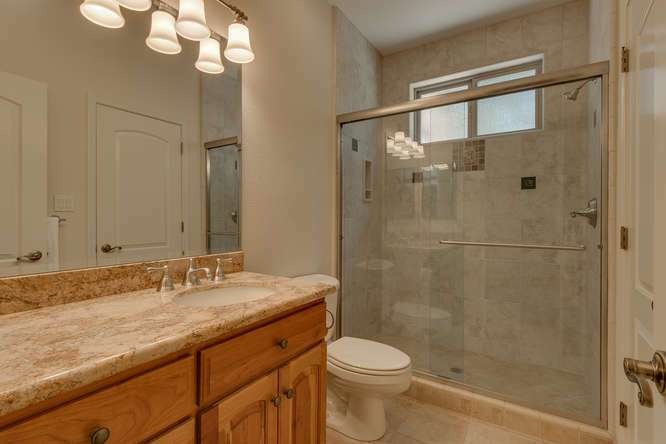 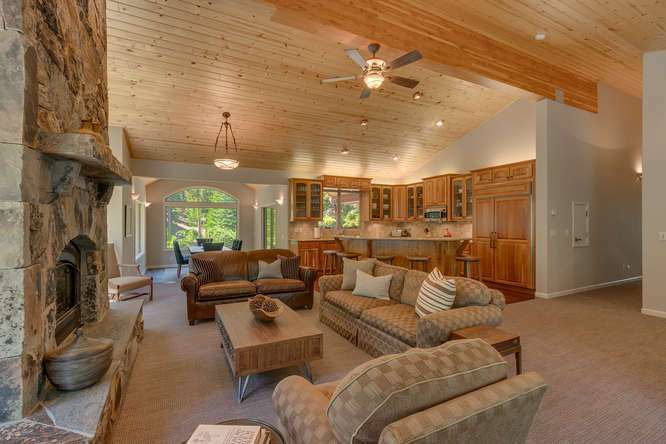 Impressive details adorn the property creating a one-of-a-kind home that is warm and inviting. 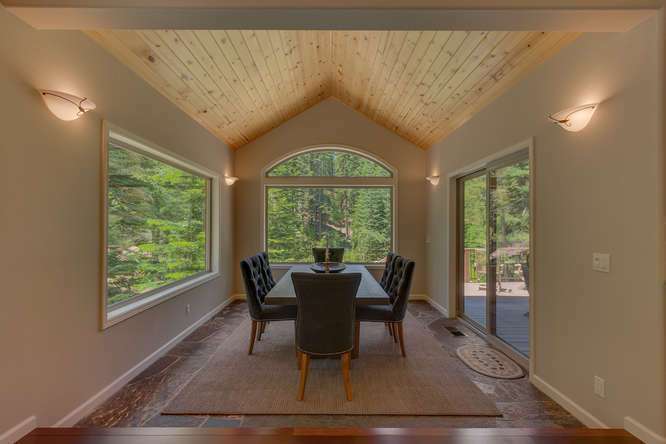 Step into the expansive great room and find vaulted ceilings, a custom library, and a gorgeous floor-to-ceiling rock fireplace. 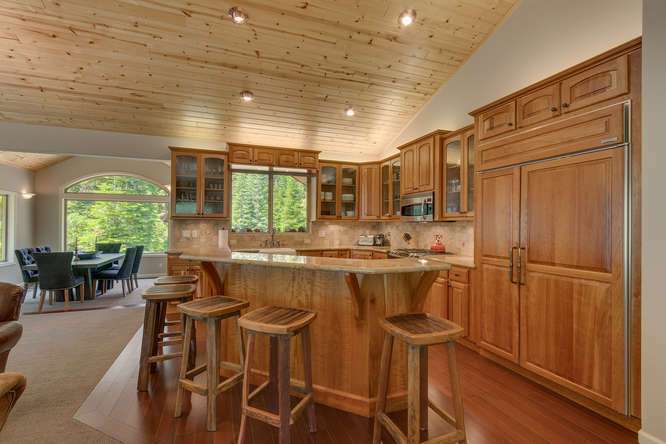 The alluring chef’s kitchen features cherry cabinetry, a cabinet faced Sub-Zero refrigerator and an island with seating for 5. 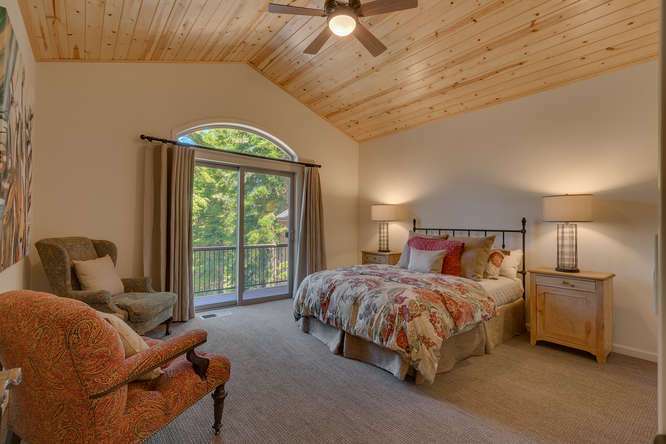 With 3 master suites and an oversized 4th bedroom (which could be used as a family room if desired), there is room for everyone to be comfortable. 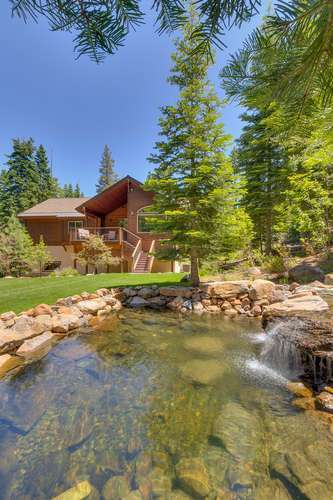 The dramatic dining room features views of a rock waterfall, pond, and landscaping just outside the window. 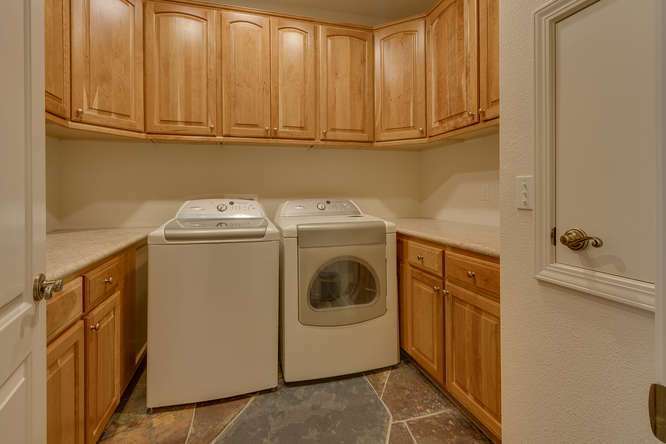 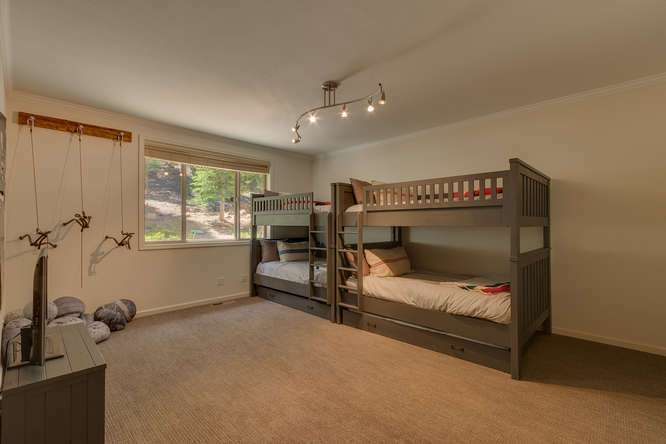 There is room for all the toys in the detached 1-car garage which includes a large workshop and an RV carport with all the hookups. 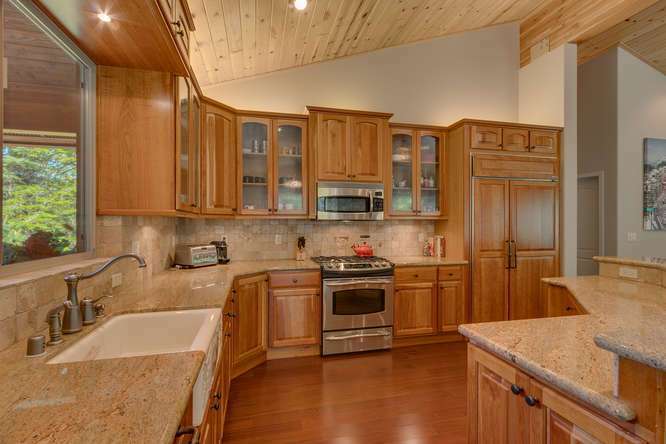 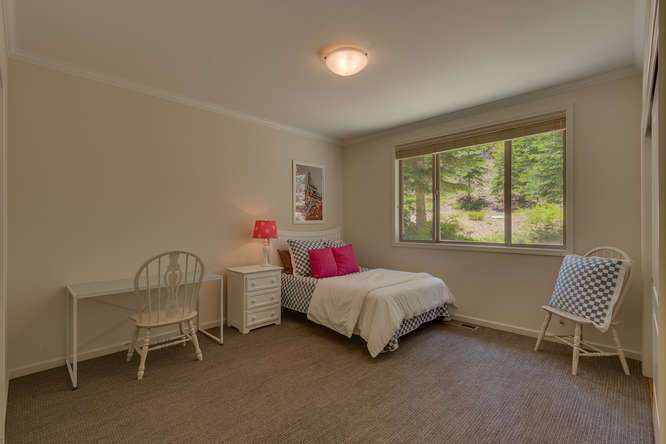 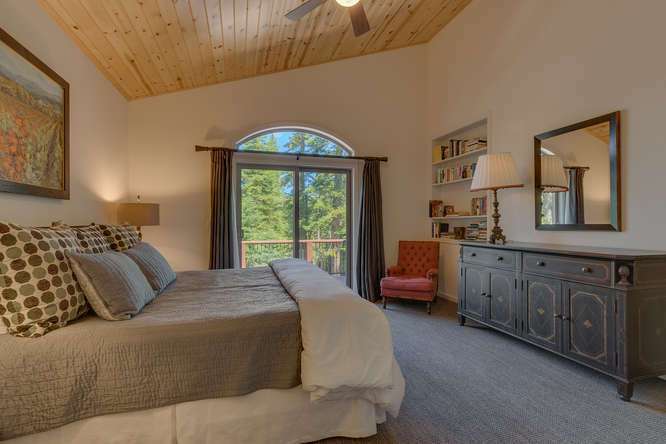 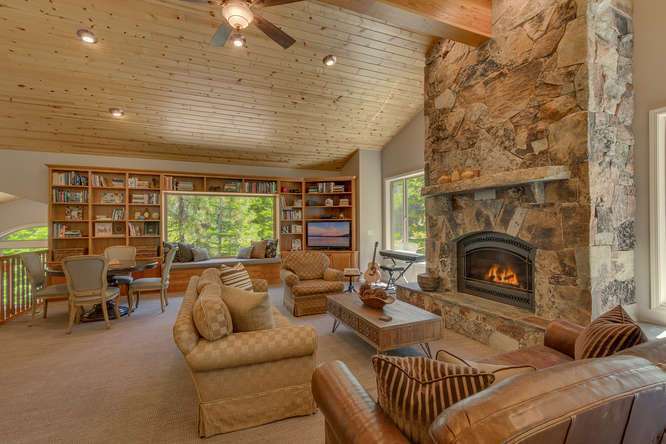 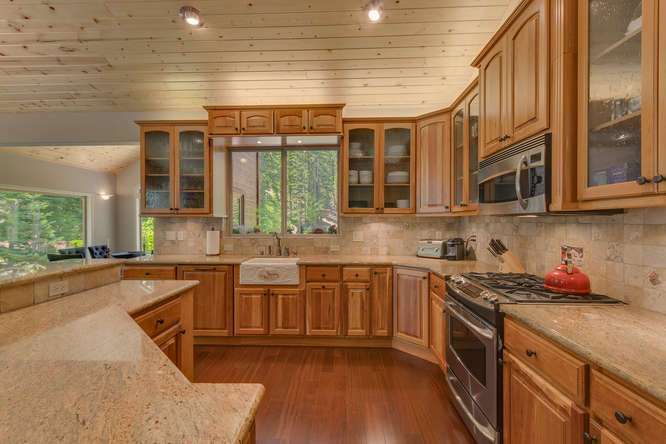 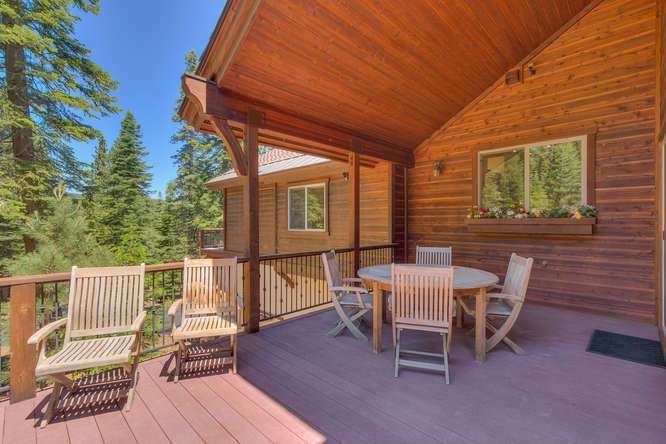 Offered tastefully furnished, this mountain retreat is turn-key and ready for your enjoyment. 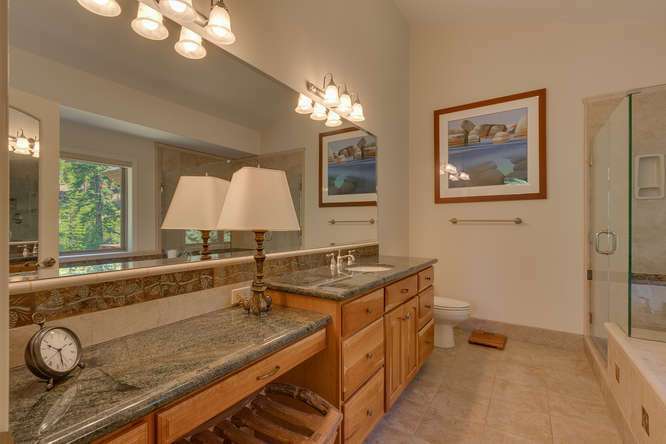 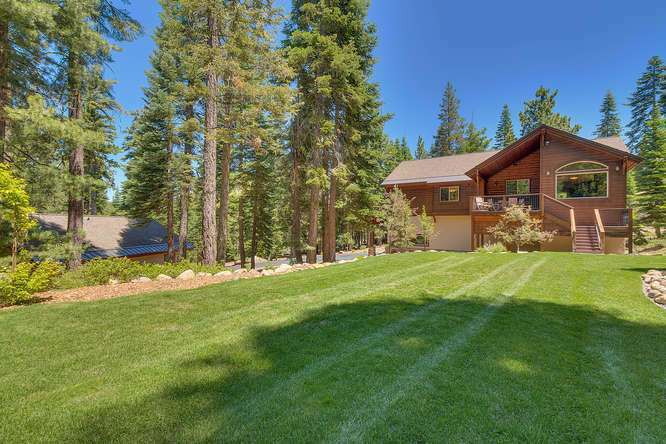 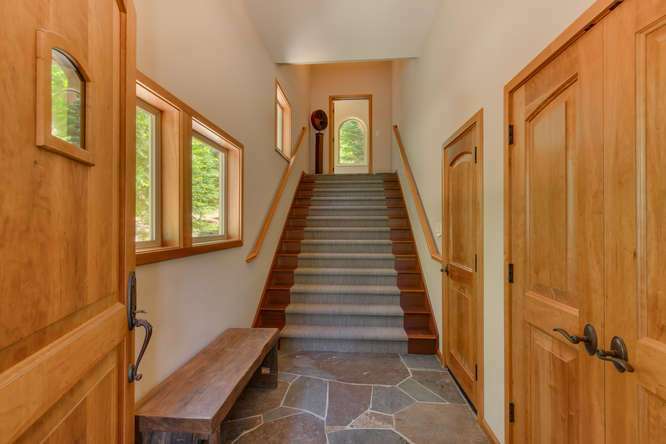 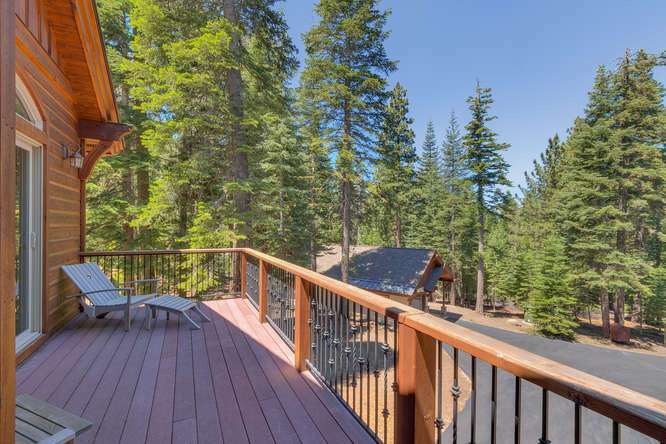 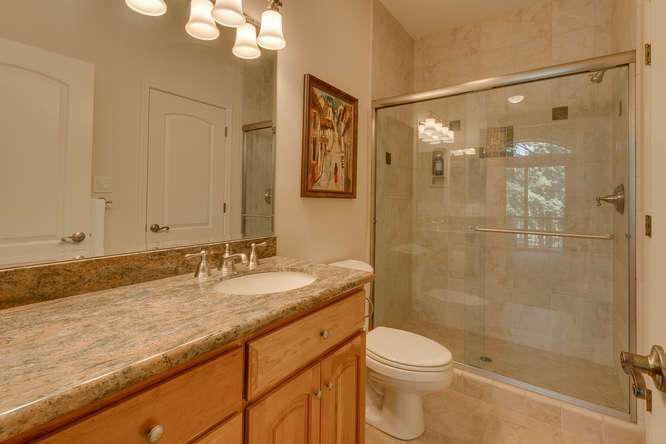 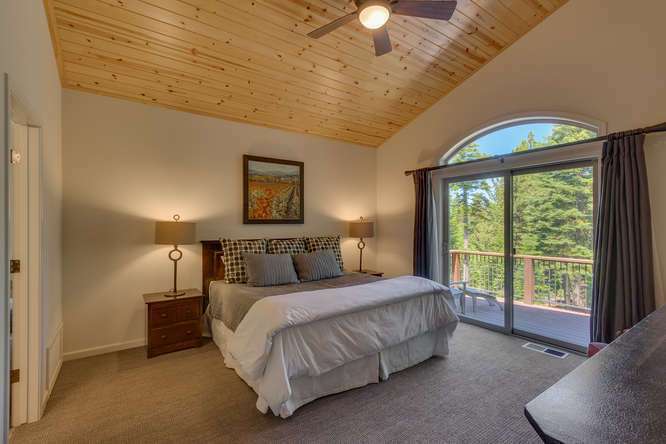 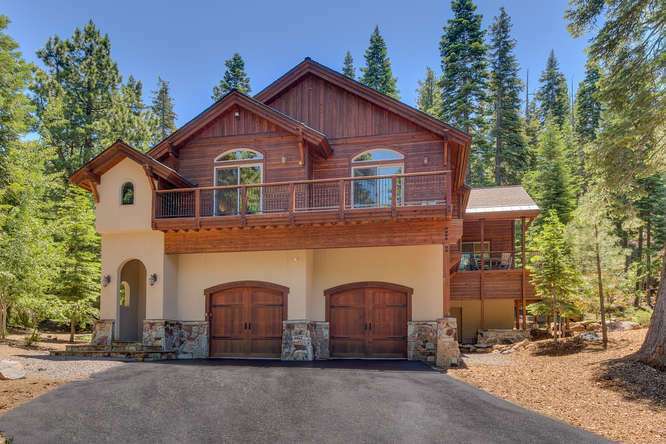 This mountain home is located on the edge of the Tahoe Donner subdivision and offers both amazing privacy and easy access to Truckee and Lake Tahoe. 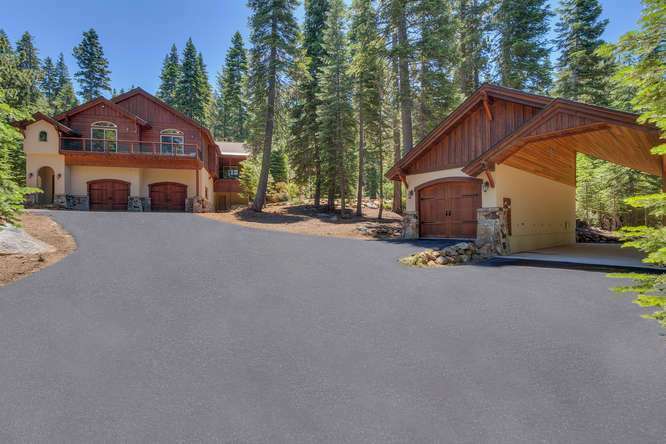 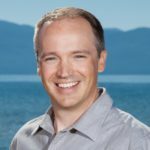 In the summer months, Donner Lake is just a short car ride away offering numerous beaches, public docks and boat rental companies. 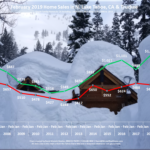 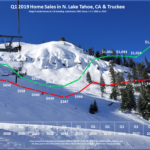 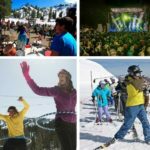 In the winter months, Squaw Valley, Alpine Meadows, Northstar and Tahoe Donner Ski Resorts are all very close by making it easy to enjoy a day on the slopes. 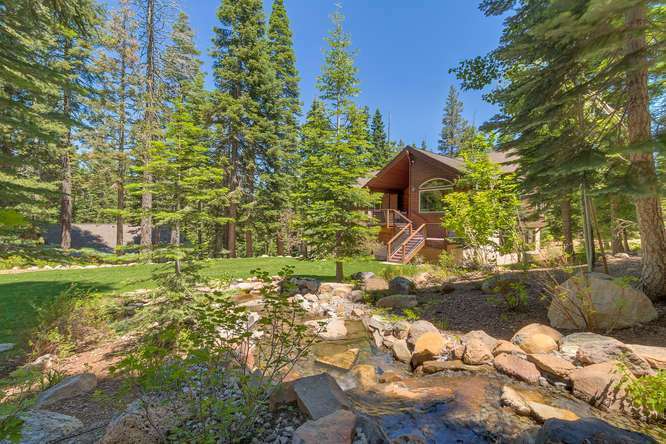 When you’re ready to leave town, the I-80 corridor is just down the hill from this beautiful home making travel a breeze. 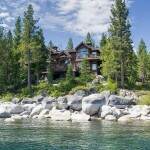 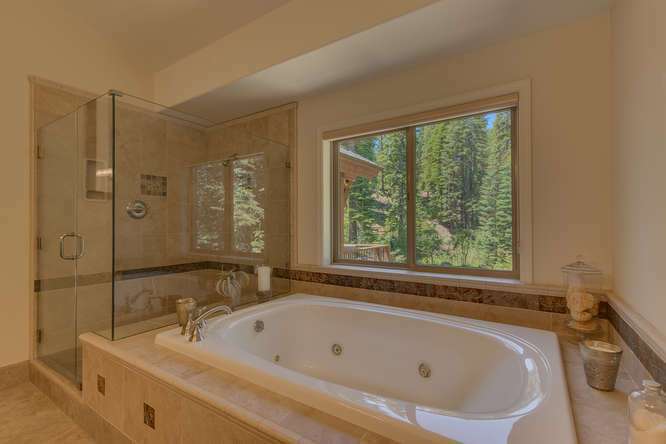 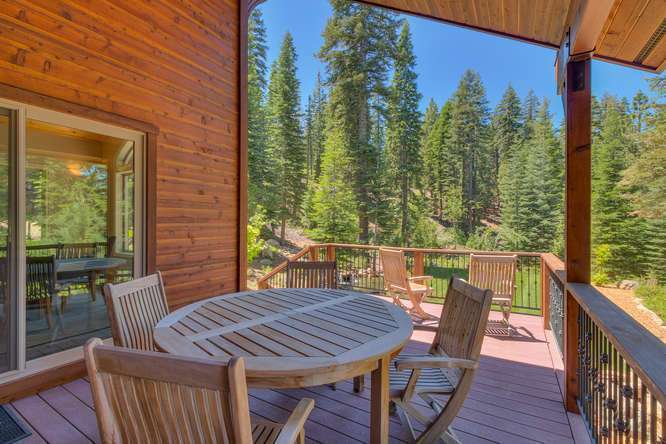 This gorgeous mountain property is perfect for anyone looking to enjoy their time in Truckee and Lake Tahoe!